Author: Scott, James Set In . . . 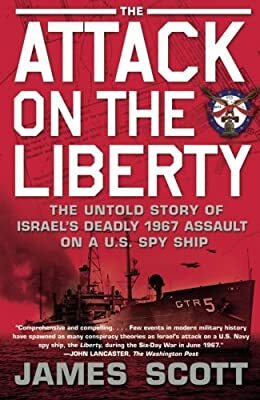 Description: • Notorious incident: In 1967 the spy ship USS Liberty was attacked by Israeli fighter jets and torpedo boats in international waters during the Six-Day War. Thirty-four sailors were killed and more than 170 wounded, many critically. Israel claimed mistaken identity, which a U.S. naval court of inquiry confirmed, but that explanation is contradicted by the facts of the case.